Tourism is one of the largest industries in the State of Colorado. Visitors stimulate the local economy and benefit hotels, meeting facilities, attractions, restaurants, cultural institutions, tour companies, transportation providers, local farmers and countless other businesses. Visitors to Colorado spent more than $21 billion in 2017. The state welcomed 84.7 million visitors (37.9 million overnight) in 2017. The tourism industry supports more than 171,000 jobs in Colorado (2017). Tourism saves every Colorado household more than $626.82 annually in taxes (this is the number of tax dollars residents would have to pay if not for the more than $1.28 billion in state and local taxes paid annually by visitors). In 1993, Colorado became the only state to eliminate its tourism marketing function, when it cut its $12 million promotion budget to zero. As a result, Colorado’s domestic market share plunged 30 percent within two years, representing a loss of over $1.4 billion in tourism revenue annually. Over time, the revenue loss increased to well over $2 billion yearly. 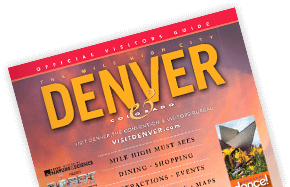 To learn more about the importance of tourism marketing and the direct impact it has on Colorado&apos;s economy, read this special report and watch The Story of Colorado Tourism here. Each year, Longwoods International conducts an overview of Colorado’s travel and tourism market and provides a detailed profile of the state’s visitors for each calendar year. To view annual Longwoods reports, click here. Dean Runyan Associates annual reports describe the economic impacts of travel to and through Colorado and each of its sixty-four counties, four tourism regions, and eleven districts. To view the most current report, click here. TIAC is a non-profit association of Colorado tourism-related organizations and associations uniting diverse segments of the industry into one unified voice. Membership includes restaurants, lodging, destination marketing organizations (DMOs), gaming industry, ski industry, outdoor and cultural attractions, river outfitters, campgrounds, and others. TIAC&apos;s objectives are: to be the unifying voice of the Colorado tourism industry; to foster cooperation, communication, and education among tourism-related organizations; to enhance the general understanding of the economic value and contribution of the tourism industry; and, to establish and maintain effective governmental relationships and communications with the Colorado Legislature. CADMO is the state-wide association for all of Colorado’s destination marketing organizations (DMOs), representing more than 25 towns, cities and regions throughout Colorado, as well as thousands of businesses impacted by tourism.